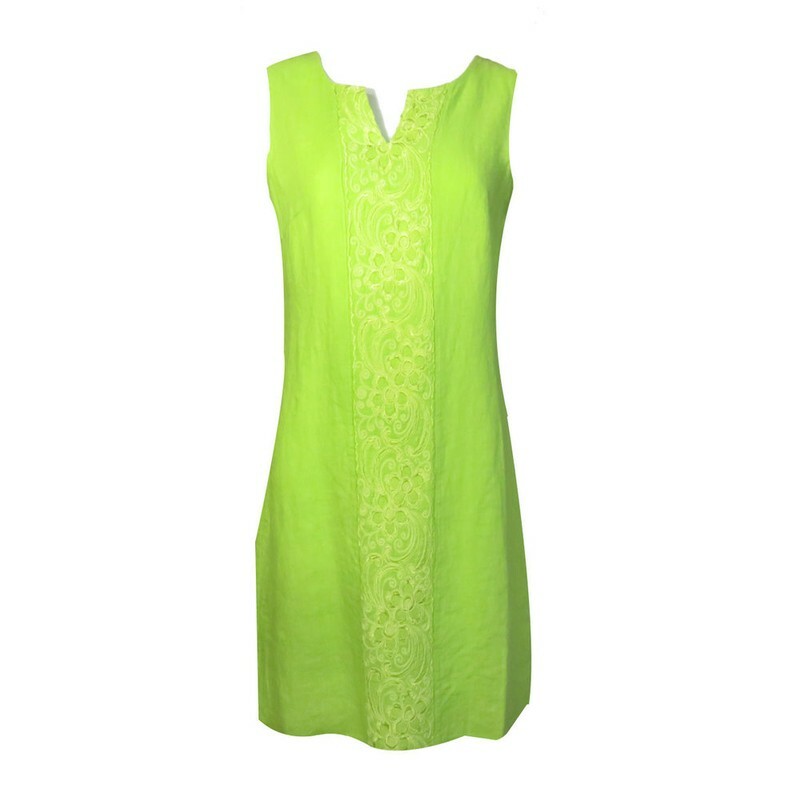 Hazel Dress from Deck is an easy to wear shape that is perfect from the spring summer season. This dress is sleeveless and the length finishes just above the knee, depending on your height. It has an embroided panel down the front and two stretch panels at the sides for added comfort.